In a blender, process 1 cup of water, bananas and sugar until smooth. 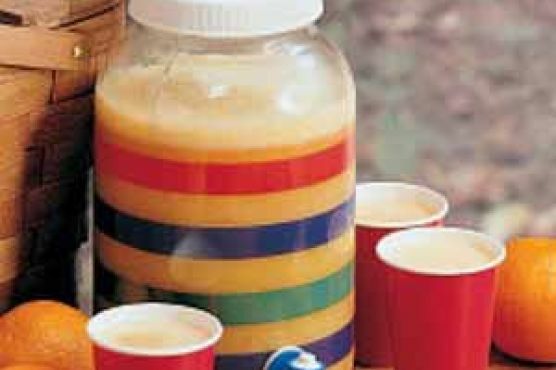 Pour into a large container; add the concentrates, pineapple juice and remaining water. Cover and freeze. Remove from freezer 2 hours before serving. Just before serving, stir until slushy. Stir in soda.